This oil is a bright orange, so if you are fair you may wish to dilute with another oil before applying to your face. 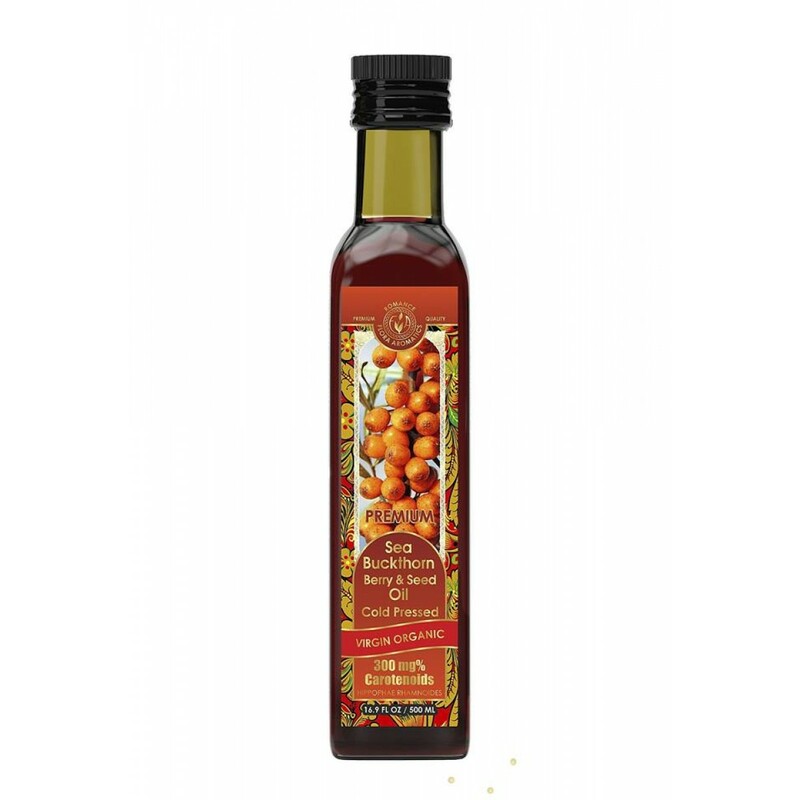 The oil is produced of thoroughly selected berries by special technology preserving not only useful properties, but a taste of sea buckthorn. Due to natural richness in vitamins, essential fatty acids, and nutrients, Sea Buckthorn Oil is known to be unique nutritional supplement. It can help heal cuts and burns, wounds and sunburns, rashes and other types of skin problems. It is a great natural cleanser and its daily use helps slow down the signs of aging by nourishing the tissues in our skin. Sea buckthorn contains high amounts of vitamins (A, C, E), fiber and protein. It has 15 times more vitamin C than oranges. The fruit also is rich in carotenoids, amino acids, dietary minerals and polyphenols. Sea buckthorn oil is considered to have high antioxidant as well as antiviral and anti-inflammatory properties that help promote whole body health. 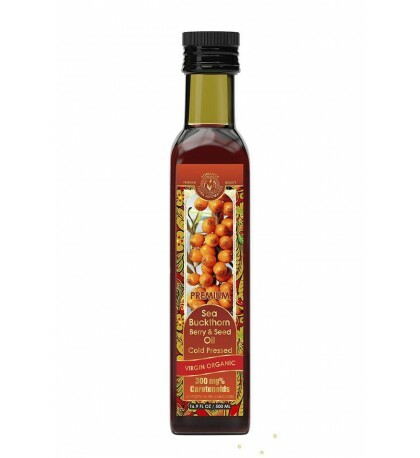 Sea buckthorn oil can be taken internally as a dietary supplement or used topically. As a dietary supplement, take 1 teaspoon 2-3 times daily. Good for both internal and external use. Warnings: Keep out of reach of children. Avoid contact with eyes. If pregnant or lactating, consult a health professional before use. Disclaimer: Information have not been evaluated by the Food and Drug Administration and are not intended to diagnose, treat, cure, or prevent any disease or health condition. Flora Aromatics is doing business since 2008. Company profile is import and distribution of vegetable and essential oils, supplements and beauty products. Online sales had become one of the new and developing directions for the company.